Welcome to Mission Ridge Auto Sales Ltd.
We have currently been in business for over 17 years, and are dedicated to providing you with total honesty and respect during your purchase here. My business partner, myself and staff have over 55 years in the auto industry. 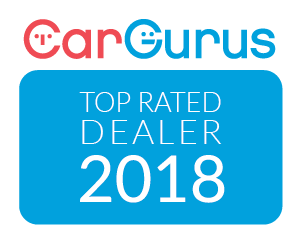 Because of our low overhead, and the fact we have several new car dealers we are partnered with, it enables us to purchase vehicles at far below wholesale prices, and pass these savings directly on to you, as the consumer. We sell all makes and models, in every year. If there is something you want that we currently don’t show on our website, please give us a call. vehicles are coming and going daily. We also have the ability to locate a particular vehicle you may be looking for as well. All our vehicles come with a 7 day/500 km return policy,* so you know you can purchase your new vehicle with the assurance you have made the right decision, even after you get it home. As well we offer all types of extended warranties for your new vehicle and can tailor one to fit your needs. Your purchasing experience at our store will be easier without all the back and forth negotiations between you, the salesmen and sales manager always trying to get more cash out of you. We understand it is a bad feeling knowing after you have purchased your vehicle, you possible could have bought it for less. Remember all sales people do this for a living, many are very smart and very good at what they do. Why should you pay more because of this? Here at Mission Ridge Auto Sales we do things a little differently. First, there will be nobody between you and the gentlemen you are dealing with on your purchase. No manager or anyone else trying to get more money out of you. Second, all prices are clearly marked on all our vehicles for a “one price” commitment. We will not negotiate with you, or anyone else. Why should one customer get the same car for thousands less just because they can negotiate better? We have gone to the trouble of reducing the price to an amount that is fair for both yourself, as well as us. We encourage you to compare the vehicle you are looking at with others elsewhere, we know you will be back. We also understand in today’s uncertain economic times many of our customers are in different financial positions and require different types of financing needs. Here we will tailor a financing term and package that makes sense for you. What may work for one of our customers may not necessarily work for you. Here at Mission Ridge Auto Sales, we totally understand that and we do it a little differently. Here you will not be led from a sales floor into see the sales manager, then onto the finance office only to have two or three different financing managers go through your personal financial information, that really is none of their business. Here only one person will see your credit application, not all your past credit history. It will be faxed on directly to our bankers who will work on your particular needs. For your convenience we also have an online credit application that you can privately fill out and send in for fast and easy pre-approval. Finally we encourage you to read OUR PROMISE, you will get an understanding of our desire to help you find the right vehicle, for you. So stop in and see us, and find out why we have more and more repeat customers every year. Hopefully this helps you understand us a little bit more, and our desire to help you make your vehicle purchase a little more enjoyable. Because shouldn’t purchasing a new vehicle be a good experience, not a stressful and worrisome one? President, Mission Ridge Auto Sales Ltd.